A hot stone massage uses smooth, flat heated stones to relax muscles and improve circulation to areas of your body that are hurt, strained, or sore. The hot stones are placed at specific areas on your body. Our massage therapist may also hold on to the stones and use them to massage certain areas of your body. Even though it’s called Hot Stone Massage, your massage therapist may use cool stones during your massage session. Hot Stone Massage is an ancient and soothing form of massage for relaxing both your body and mind. The heat in the stones helps your tight muscles to release and relax. How is a hot stone massage done? 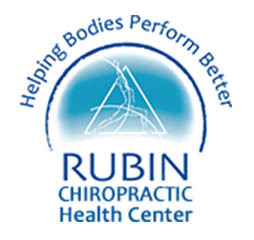 The massage therapist at the Rubin Health Center in St Petersburg will sanitize and heat stones of various sizes, shapes and weight with water to 130 to150 degrees Fahrenheit. Your massage therapist will remove the hot stones from the water and place them on specific points on your body or in the palms of your hands. While lying face up, stones can be placed on your belly, chest and face. A towel is often placed between you and the hot stones. The warm stones relax your muscles and allow your therapist to perform deep tissue manipulations, as well as using the traditional strokes of Swedish massage holding heated stones. The massage therapist may simply use her hands at times to directly massage your skin. Massage oils are usually incorporated into the massage and as the stones begin to cool your massage therapist will replace the cool stones with hot stones. Cold stones may also be used as part of the massage therapy session. Alternating cold and heat can increase circulation. Cold stones can also reduce inflammation and pain in a localized area of the body. You should let the therapist know if the stones are too warm or the pressure is too strong. Are there medical reasons to avoid a hot stone massage? You shouldn’t get a hot stone massage if you’re pregnant; suffer from high blood pressure, heart disease, diabetes. Always consult with your doctor if you have any serious health issues before receiving a hot stone massage.